to get your favorite haircare? Well, good news, it’s sold in the states now. Nth Degree haircare is an Australian brand that is quickly building it’s following around the world. I love their Smoothing Moroccan Argan Oil & Keratin Collection. It hydrates, smoothes, and seals your damaged, thirsty, hair. The line is made up of shampoo, conditioner, deep conditioning mask, and serum. The mask is my favorite. This line is all natural and affordable. So get smooth with Nth Degree, and get down with it mate…. and I have one for your cells. Acure Argan Stem Cell + cgf is the face mask that will do the trick.This amazing mask uses the power of Moroccan Argan Stem Cells and Chlorella Growth Factor, for a true synergy of cell revitalization. French Green Clay draws out impurities while Moroccan Argan Oil, CoQ10 and Seabuckthorn Oil provide moisture. You are left with serious cell repair, that you can see right away. I am obsessed with this mask, it is my new favorite! Acure is an amazing company, which is extremely environmentally friendly, and gives back in a big way. So get with Acure for your skin and end up with a cure for your night…. DO THIS IN THE SHOWER…..
exfoliate with Chaacoca Moroccan Black Soap. After about five minutes in a hot shower, rub this soap all over and let it sink in for another five. Wash the soap off and use their Morracan Exfoliating Mitt and rub in a circular motion. You will be left with fresh, revived, new skin. I also recommend Chaacoca Ghassoul Mineral Clay body and Face mask. It is enriched with Certified organic Argan oil, and natural herbs. The results are immediate! 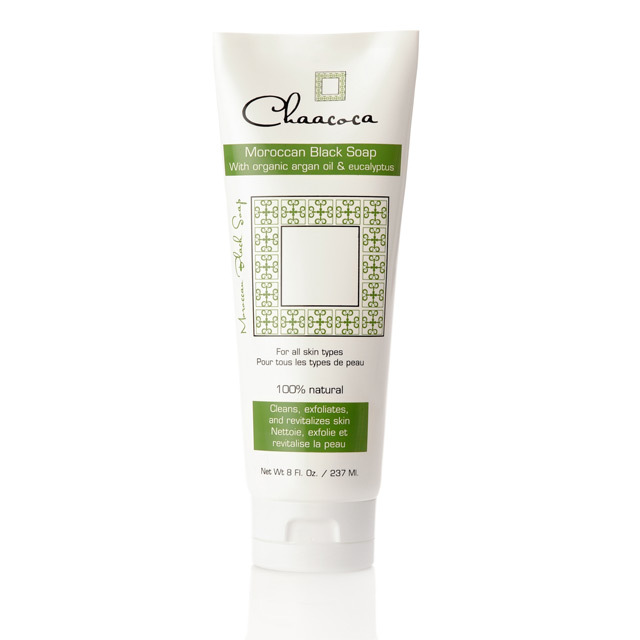 Chaacoca is a great line of skin and hair smoothing products – check them out at chaacoca.com. So indulge in these products, and revitalize your body in more ways than one ;)…..